Iconic fast-food chain White Castle is now offering a vegan version of its signature sliders, with the “beef” provided by Redwood City-based start-up Impossible Foods. It’s the first time that a major chain has offered the meatless burger alternative and marks a shift in what consumers are demanding these days. The Impossible slider re-creates the sensation of eating meat, complete with “blood,” in hopes to bridge the gap between the dry veggie burgers of yore and real meat. Founded in 2011, Impossible Foods opened its first high-volume production facility in Oakland, California in the fall of 2017. Despite this facility’s taking up a full city-block, the demand for Impossible Foods “meat” has become so high that the company is looking double its production in the near future. The Impossible Burger slider at White Castle costs $1.99, in contrast to the $.77 per beef slider, and is available in select stores in New York, New Jersey and the Chicago area. If this trial run proves to be a success, consumers may soon be able to enjoy the Impossible slider at White Castles across the United States. Impossible Burgers and Fries: a former meat-eater's dream. 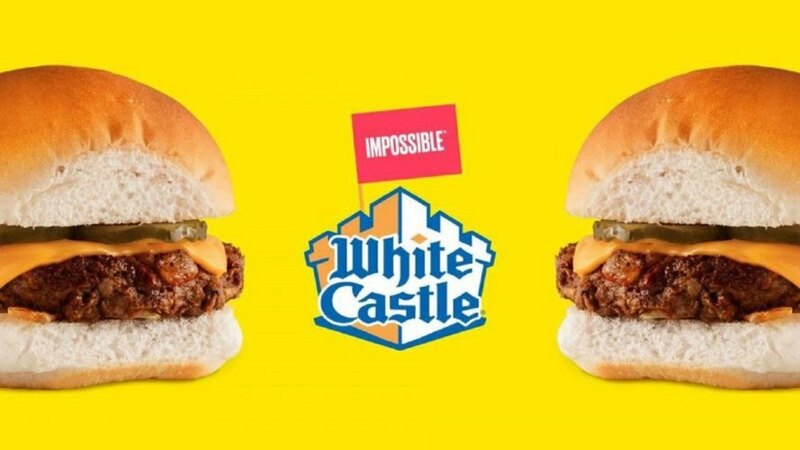 White Castle is the largest chain to partner with Impossible Foods to sell the Impossible Burger, presented in slider form.